William Savitt is the co-chair of the litigation department of Wachtell, Lipton, Rosen & Katz. 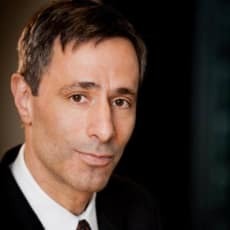 His practice focuses on representing corporations and directors in litigation involving mergers and acquisitions, proxy contests, corporate governance disputes, securities class actions, and regulatory enforcement actions relating to corporate transactions. Mr Savitt graduated from Brown University and received an MPhil from Columbia University in European legal history. He graduated from Columbia Law School in 1997, where he was editor-in-chief of the Columbia Law Review. Upon graduation from law school, Mr Savitt served as a law clerk to the Honorable Pierre N Leval of the US Court of Appeals for the Second Circuit for the 1997 term and to the Honorable Ruth Bader Ginsburg of the Supreme Court of the United States for the October 1998 term.